What is it that I’m not living out fully in my life. The one thing that propels itself to the top of the list of things I’m not living out fully in my life, is my passion for connecting with like minded individuals to share personal insights, thoughts, dreams and desires, without judgement and from a place of love. While I have a web site where I share a daily blog, and I have a book I’ve written, and I have a business I have built and created, I still would like to do more. I still feel I have a lot more to offer!! While writing is very powerful and therapeutic, the personal connections we share are so much more powerful. Co-Creating in community where we share our thoughts, feelings and desires with the goal of supporting and holding a safe space for each other has such incredible power and opportunity for growth. Yet, it carries with it a fear of failure, disagreement and disappointment, and it this very fear that keeps me from moving this thought, this dream forward. How to do this, how to move forward still concerns me. How to connect with people and co-create an exciting growing and learning time together requires some faith and a desire to jump into the unknown. Currently I am planning two workshop opportunities for addressing change and supporting transformational growth. The first will be offered by me http://www.mkanthony.com through our funeral chapel with a time (probably September) and site to be determined and the second will be a fall event with two close friends and like minded people, Sacha Sully from Australia https://m.facebook.com/SachaSullyLifeCoach/ and Camille Conte from Alaska and NJ. https://www.facebook.com/This-Awakening-Spirit-645405635549117/ While these new ventures will create some fear and trepidation, it is time to shake, rattle and roll (in no particular order). Please look forward to your personal invitation to these events and let me know if there are any thoughts you have regarding topics you feel would help you, your friends, family and your community. Co-creating day three. Co-creating is like listening to the radio, you realize that you are listening to a channel, your channel, yet continue to recognize that there are many other channels playing out there. While you do not have to tune in to the other channels you have the option to play with them whenever you’re moved to. The key to co-creating is recognizing and being “willing” to hear these other channels. They are always playing (like your channel), and they offer different energy pathways that move and grove to different beats that may challenge you. While it seems easier to keep it on your one channel, the universe is challenging you, reaching out and calling you to hear what is being played. No intention (no pressure) to make anything happen or expect anything, just play!!! Children provide us a view of un-restricted love and joy. Young children don’t learn sadness and fear early on, they are left alone to shine for years. They see everything for the first time, and are enthralled by the most simplest of things. They don’t get fed the daily news or our negative thoughts and opinions. It is not hard to see in them this beautiful light shining and we don’t want to extinguish it. This morning, I feel I need to move out in that light and wanted to share with you this abreviated post I wrote 20 days ago. Today, was filled with lots of energy and joy. Is it because I got a lot done that I had been perseverating over? Or, because I didn’t want to be depressed and scared any more. Some days I just get up and deal with it because I don’t want to accept feeling depressed and scared all day. Other days, I like staying home and wallowing in it. Today, I decided to take the leap, to take the day and achieve some greatness, and boy did it feel that way. I was up before 6am and didn’t hit the pillow until 11pm, unheard of these past few months. Today the blessings to me were energy and joy, and I’m just going to accept that and be grateful. I’d like to make that my new normal! How you doing with that? I’m traveling today and decided to pull out a post I wrote a few days before I went live with my blog. I thought we could all use a little pick me up from the last three days. I woke up at 3am last night thinking of the song “Mr. Big Shot, Who do you think you are”, by Jean Knight. Although I thought it was Mr big shot, it is actually Mr. Big Stuff!! Anyway, Mr Big Stuff still works because being a spiritual being capable and deserving of all things is pretty big stuff. As I reflect on my life’s journey, I was always ready to step up and to do the big thing, win the big game or make the big move (take the chance). While everyone doesn’t share my vision, belief and enthusiasm for doing the big stuff, it makes me wonder. Isn’t it possible, to be capable of all things and have all of life’s trophy’s, while maintaining peace, joy and love? Isn’t that possible? I think it is. Is fear of failure, ridicule and change, holding us back from success? Are we just to damn lazy, or do we feel unworthy and undeserving (the list goes on). For the past few months, I have been waiting for the magic to just appear, after all I am a spiritual being and deserving of all things. I’ve been waiting for the event or the thought that would propel me once again into the magic energy field, the universal arena. I finally accepted that I haven’t been ready and probably a little scared to step out into that arena. All the things I thought I believed, preach and practice had been on hold as if in a state of suspended animation. Not really sure why, but “enter blogging”. I know I don’t know everything, but when I close my eyes, trust and listen all things are possible. Here I am Lord. Welcome to my blog! Author mkanthonyPosted on November 29, 2017 Categories Blog Entry2 Comments on Big stuff! We shall see the sky sparkling with diamonds! I welcome you to come along with me on my journey. It is my sincerest desire to bring more love into the world, and that might be a good thing. “We shall find peace. We shall hear angels. What would make me think I have anything to say or offer the world? Perhaps its the one question we continue to ask ourselves that keeps us from doing just that thing. Speaking up, telling our story, sharing our intimate thoughts, ideas, secrets is a scary place and one that leaves us feeling vulnerable and open to ridicule. A good friend said to me recently that it would be a shame to die with your story untold, closed off to those who might care, learn or benefit in some way from that knowledge. Do you ever wonder why your parents did this thing or that and their gone now, not able to answer that question? I wonder what the hell mine were thinking! How hard and painful their divorce was? I wonder how having a judge grant custody to my father over my mother must have felt to her and why it came out that way. I never asked and they never said, I’m sure it was to painful for them and now I’m left to wonder. Growing up in funeral service and helping people through transformational events in their lives has given me the confidence and awareness to share my story. I mean why not? its very evident to me we all feel the same basic emotions of fear, pain, loss, joy, peace, etc. Although our individual stories may be different the feelings are universal. “We shall find peace. We shall hear angels.” My first book “Living and Dying” is just being released, and is available online through my website, http://www.mkanthony.com While I’ve already got my sites on the next book, it is a joy to be blogging as way to practice writing and sharing my thoughts, ideas and secrets. Every day I wake up excited to venture out into the world with my thoughts. As I sit here at the keyboard nothing specific is of mind, but after a moment or two “this” stuff comes tumbling out. It is my sincerest desire to bring more love into the world, and that is a good thing. I invite you again, to speak up, comment, live not die. So, we all can see the sky sparkling with diamonds! Author mkanthonyPosted on November 25, 2017 November 25, 2017 Categories Blog EntryLeave a comment on We shall see the sky sparkling with diamonds! 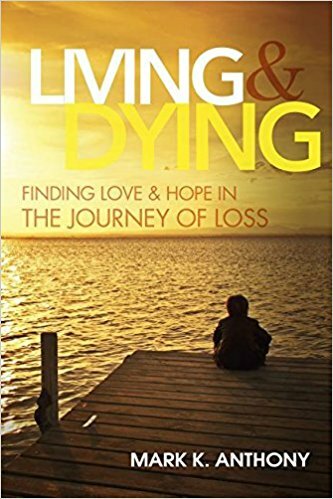 Today I’m beginning my journey of writing and sharing my thoughts, insights and dreams on “Living and Dying”. Eight months ago I spent an intense weekend in Los Angeles with some amazing individuals dedicated to living a more purpose driven life. As we sat together in a space of love and acceptance we listened to the stories of our lives, the stories of do and can’t. While it was everyone’s intention to live a “I can do it” life all of us found we most often found ourselves living in the “I can’t” space. Collectively we all committed to changing the way we went about our daily lives with the intention of creating new strategies, habits and ways of living our lives. While I have not missed one day of my one hour meditation (pretty impressive, I must say), I have not done much more. All of my house guests in our group left Los Angeles dedicated to daily meditation and producing 100 days of videos documenting their experiences. In review of their efforts I am continually amazed by their growth and commitment to its value. I on the other hand, used publishing my new book as my new life strategy, because the video thing didn’t quite feel right to me. With all the best intentions of marketing and selling my book I left Los Angeles to begin my new purpose driven life. The purpose of becoming a writer, speaker, educator, etc. or so I thought. Very soon I found myself in turmoil with the publisher over printing issues and errors. I had issues with the cover design and perseverated for weeks over a final copy. I created months of angst and struggle kicking and screaming through the publishing process. Looking back, I struggled with committing to changing my habits, and creating new ways of living my life (leaping). So, I sat there every morning meditating and then went about doing the same old thing, nothing. Today I begin to share my blog for at least 100 days about my experience with a purpose driven life. I call it “living and dying” because I see living as moving forward and embracing change and dying as just sitting here. Today, not wanting to die, I begin my journey. Wish me luck and feel free to join me and consider finding your own voice to share in our world. I welcome comments and discussion and I will do the best I can to participate. To follow my blog click the link www.mkanthony.com (not easily found on your phone) and you will receive my daily blog in your email.